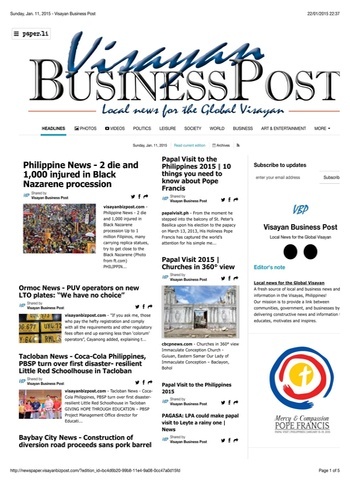 A fresh source of local and business news and information in the Visayas, Philippines! 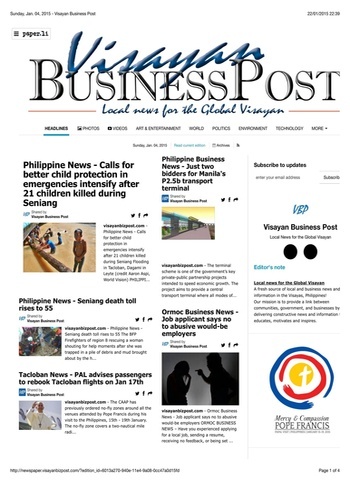 Our mission is to provide a link between local communities, government, and businesses by delivering constructive news and information that educates, motivates and inspires. 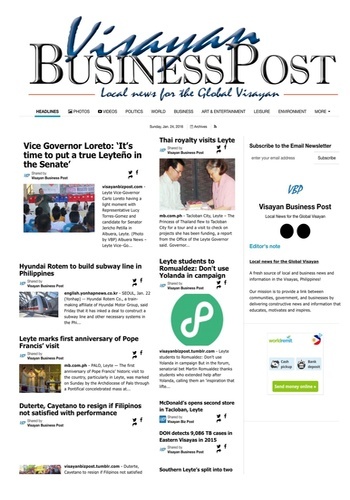 Order each issue individually, or SUBSCRIBE to get access to EVERY ISSUE for a full year! 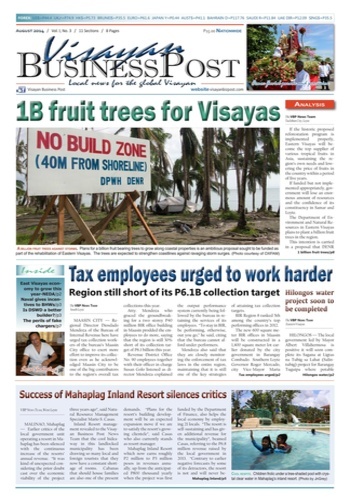 We will publish at least 12 issues per year, though this will increase as our circulation grows. 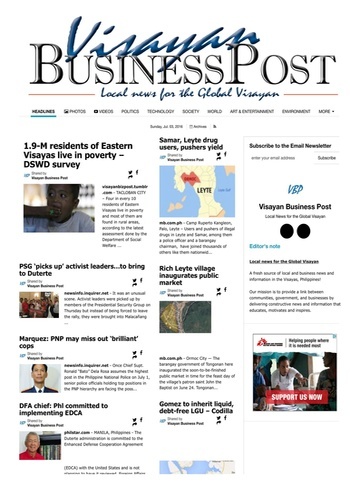 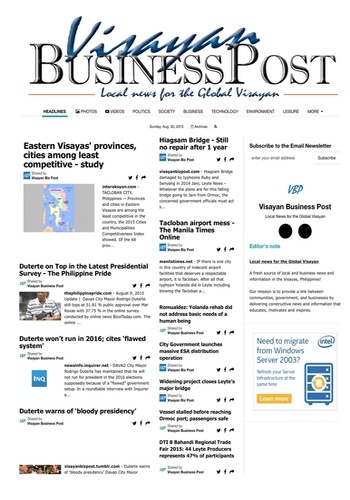 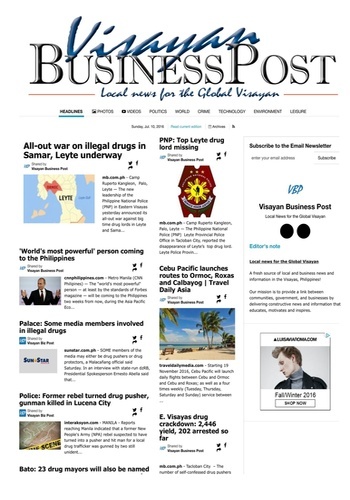 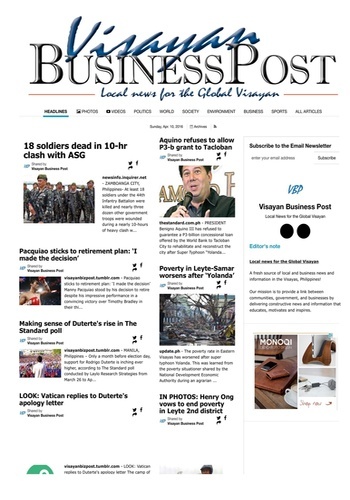 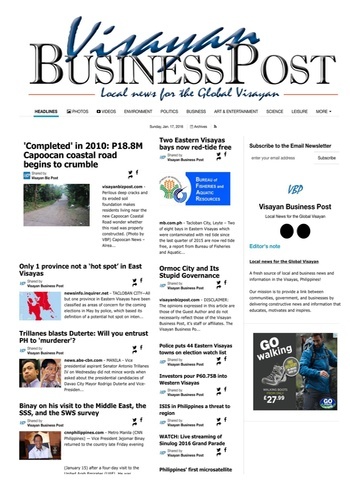 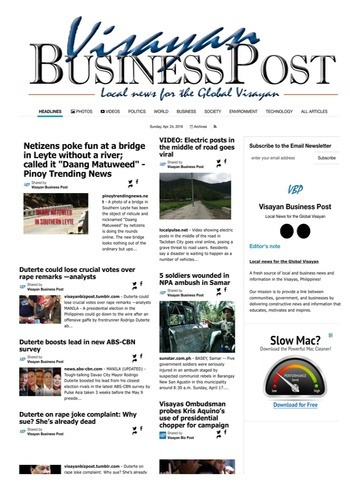 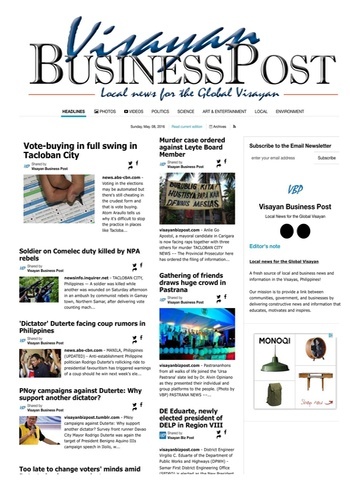 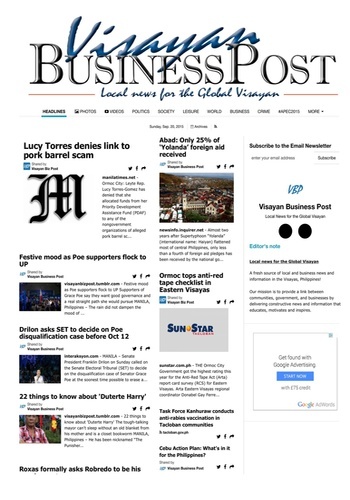 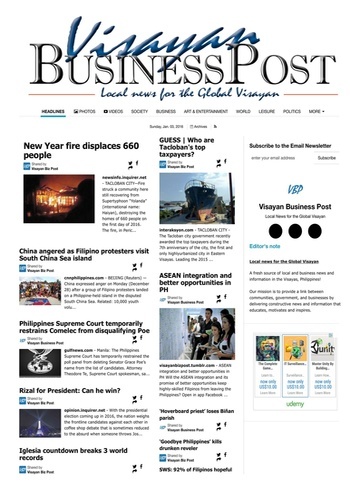 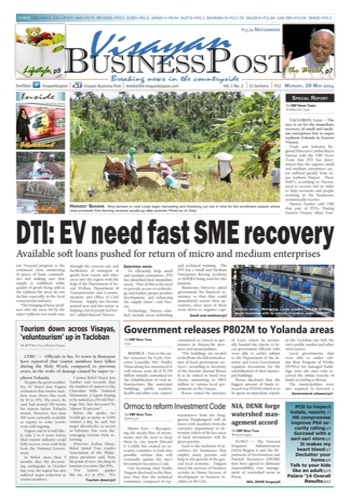 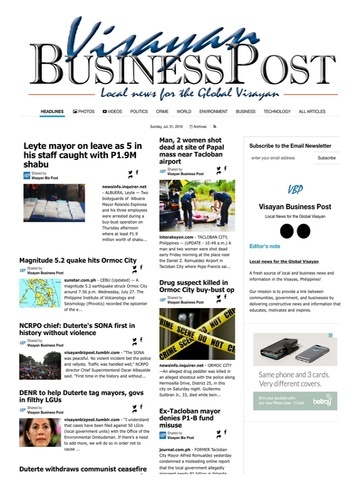 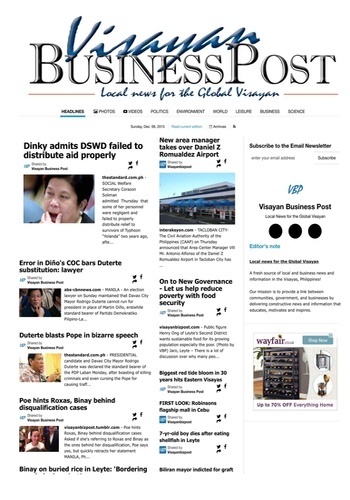 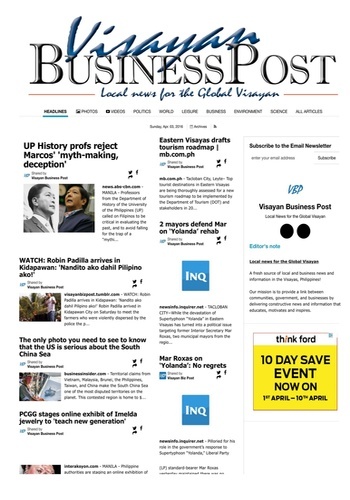 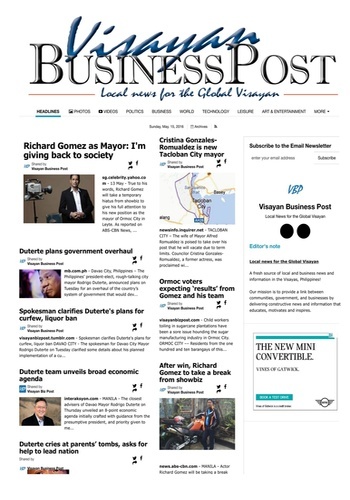 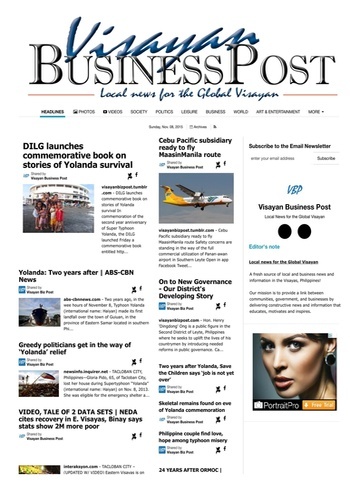 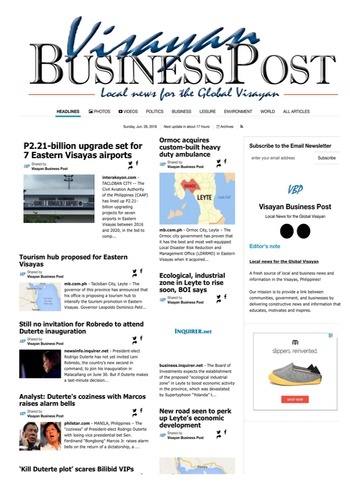 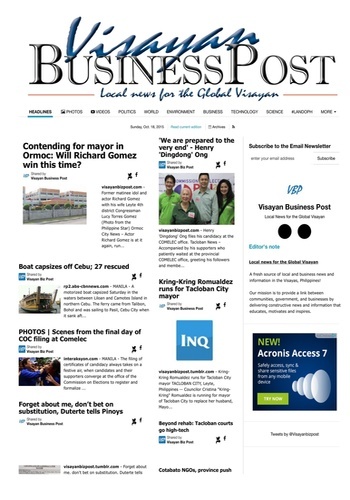 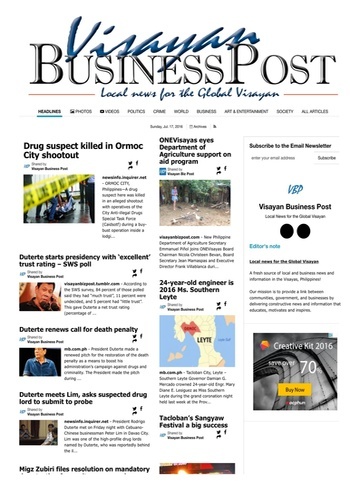 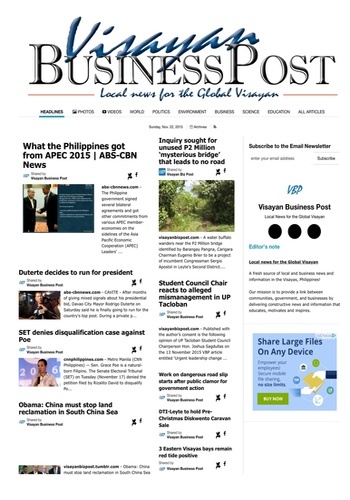 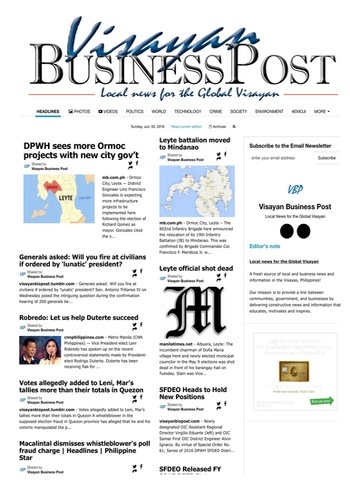 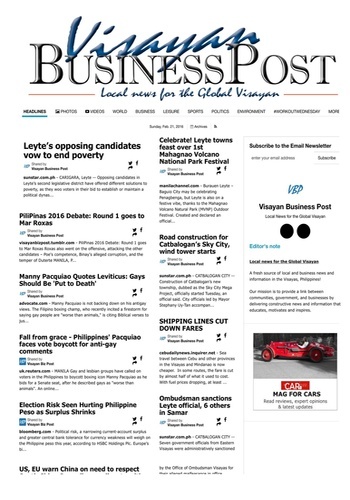 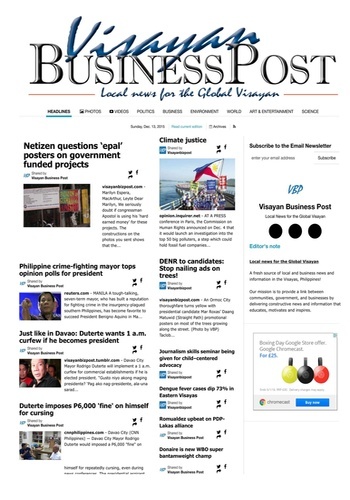 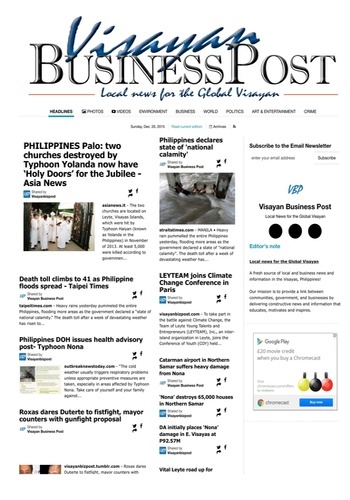 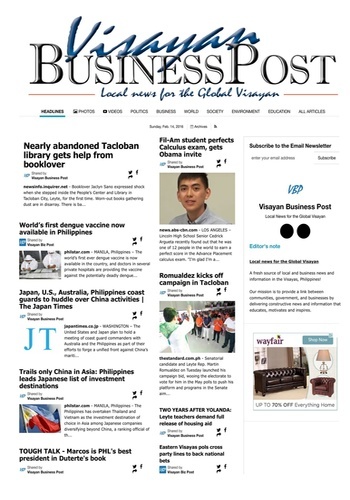 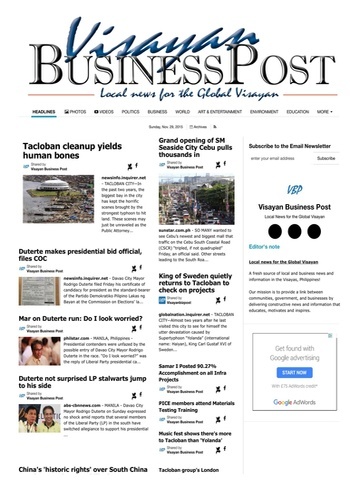 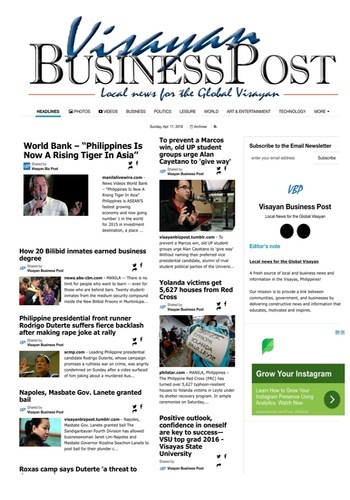 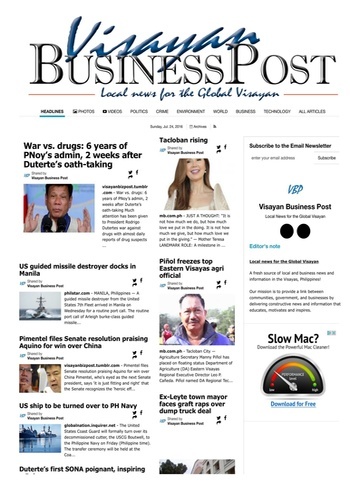 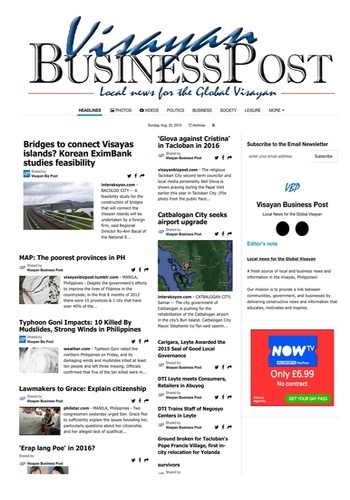 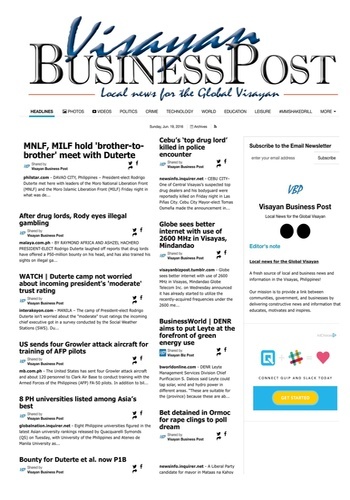 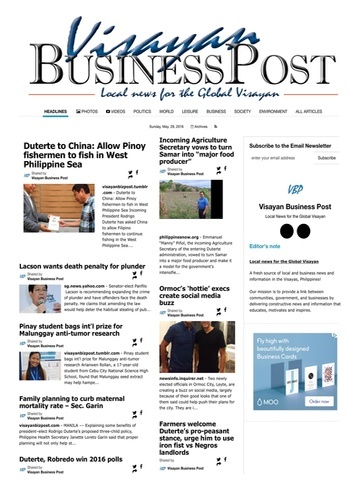 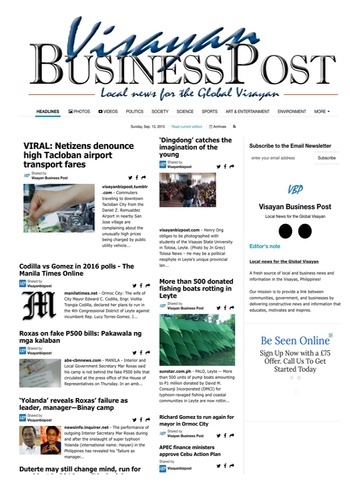 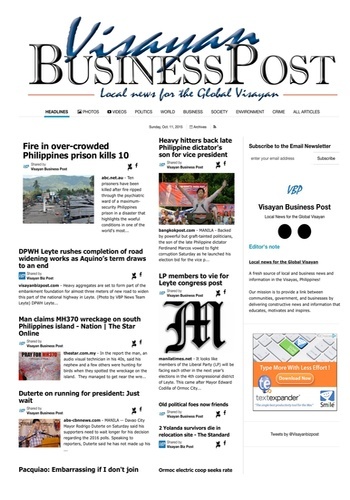 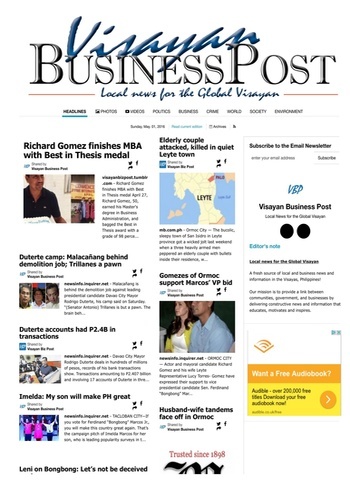 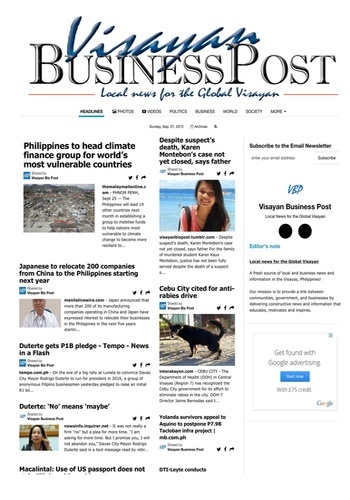 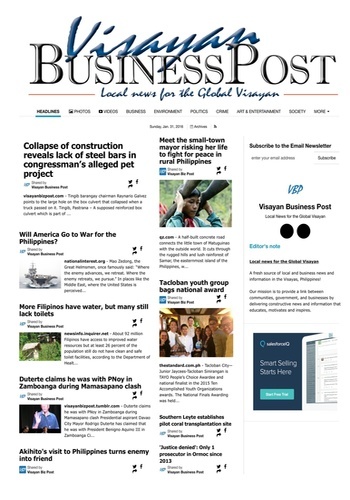 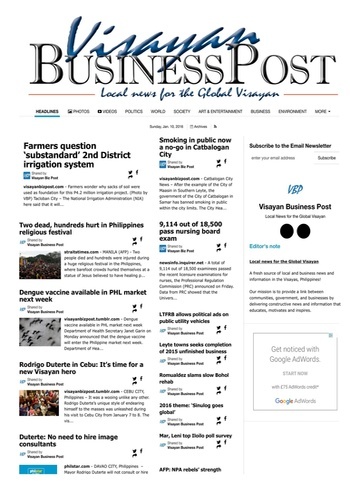 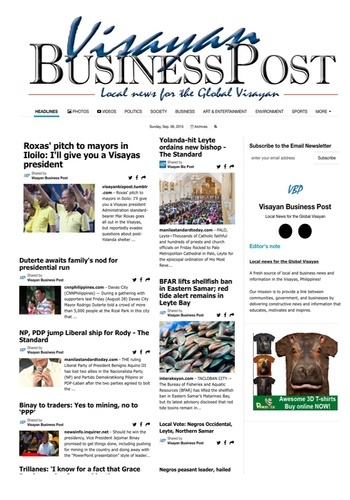 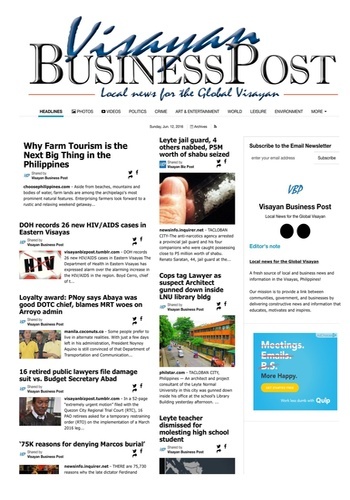 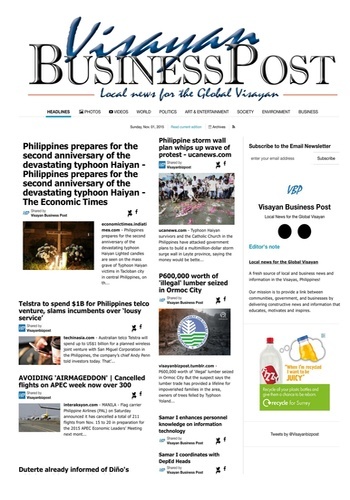 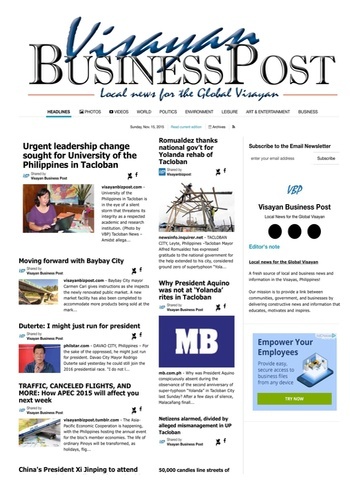 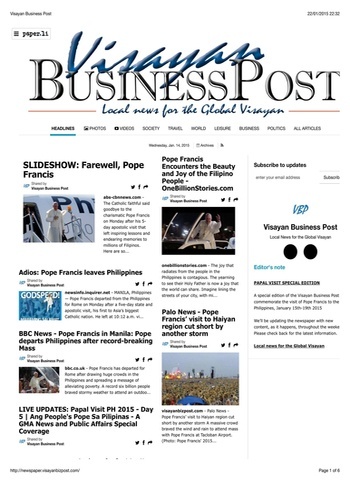 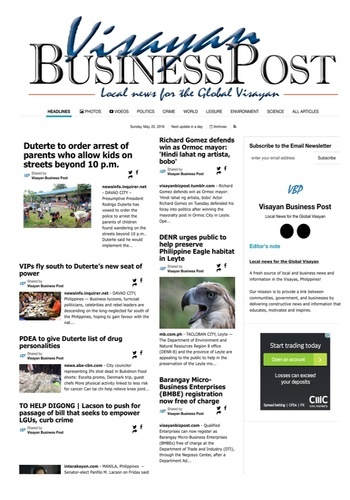 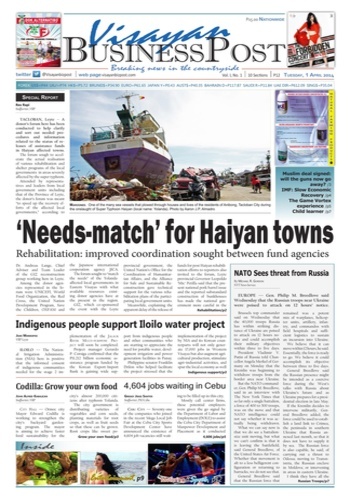 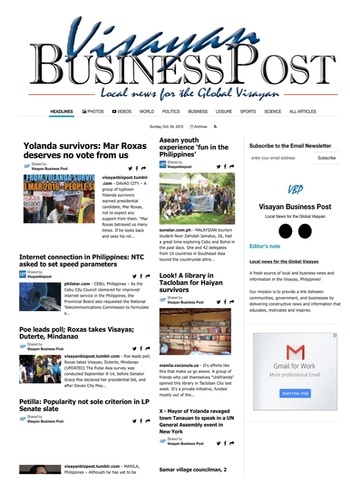 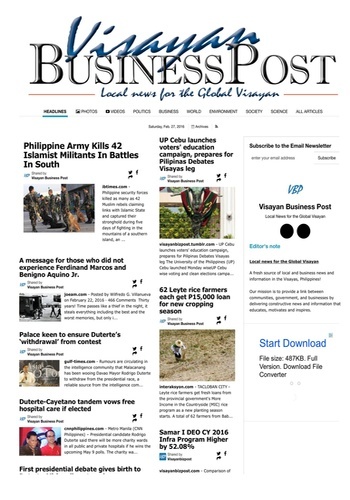 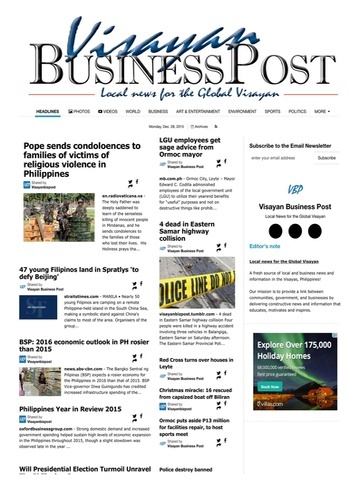 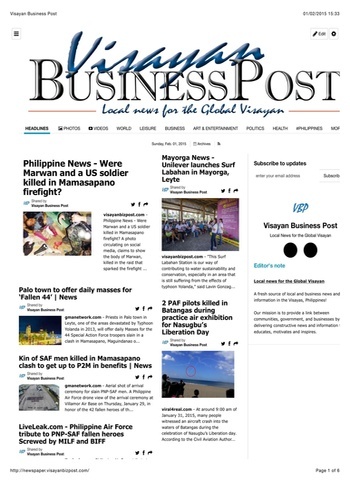 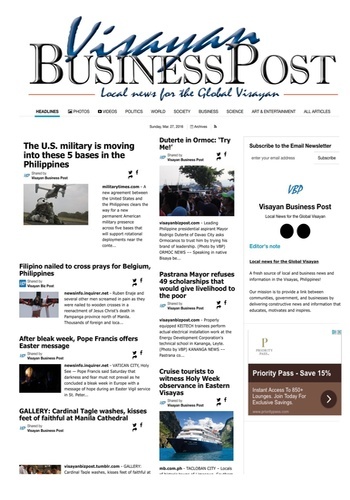 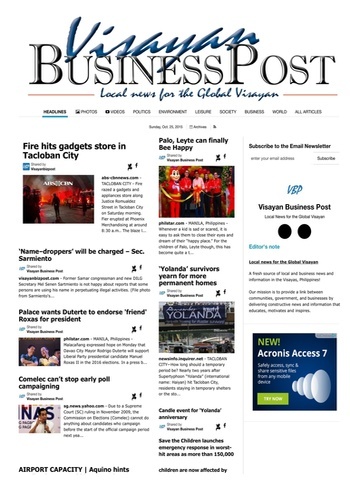 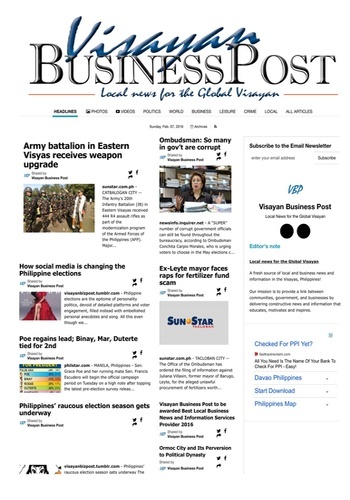 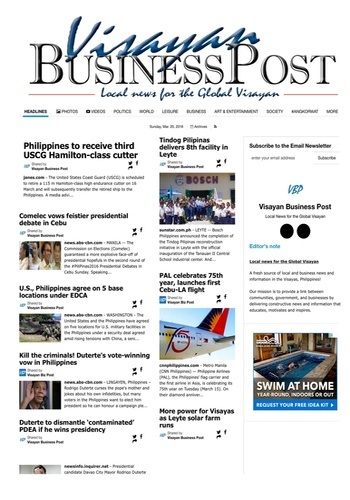 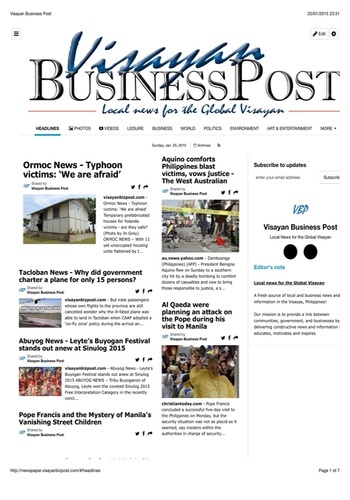 Please download Issue 1 of the Visayan Business Post, free of charge, with our complements. 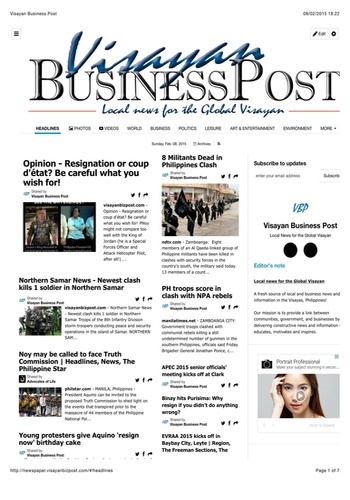 If you have any comments, please feel free to leave us a review, or visit our website at http://visayanbizpost.com for more information.